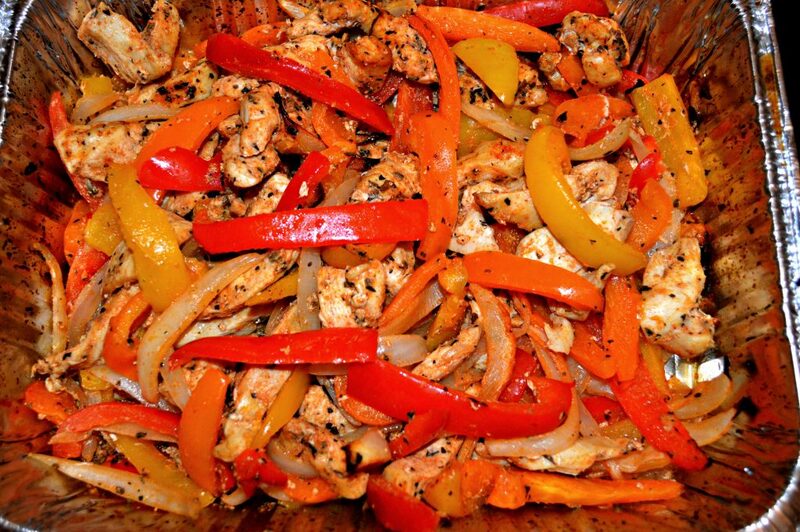 Have you been looking for a great Chicken Fajita recipe? Your search is over with this extraordinary dish, due to the fabulous homemade seasonings that compliment the fresh ingredients perfectly. 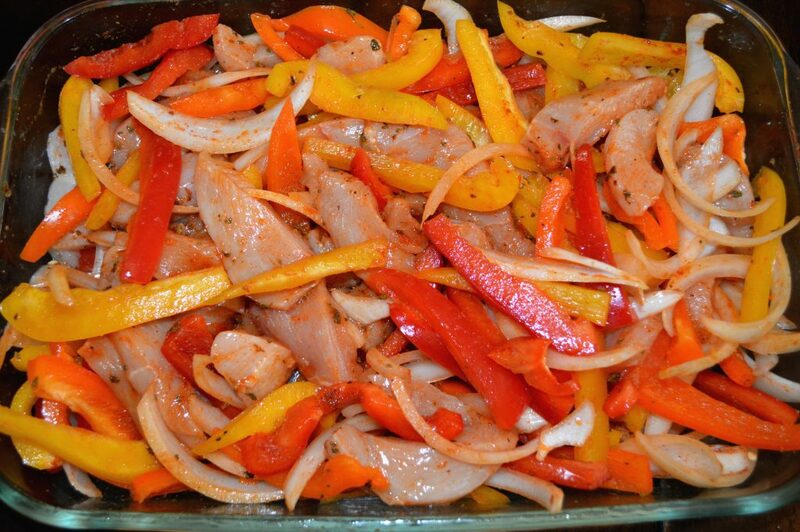 You can easily make this recipe in your baking pan in just a few minutes for dinner tonight. OR, make it and bake it in a disposable tin pan to deliver hot and convenient as you’ll see in a picture at the end of the post. A quick and scrumptious dish! 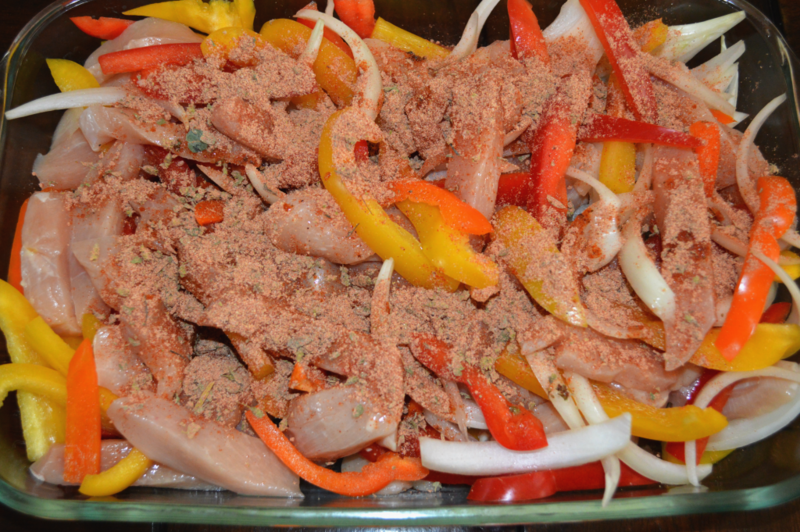 Mix the seasoning ingredients together in a bowl and set aside: bouillon, brown sugar, cornstarch, smoked paprika, onion powder, garlic powder, cumin, oregano, chili powder and salt. 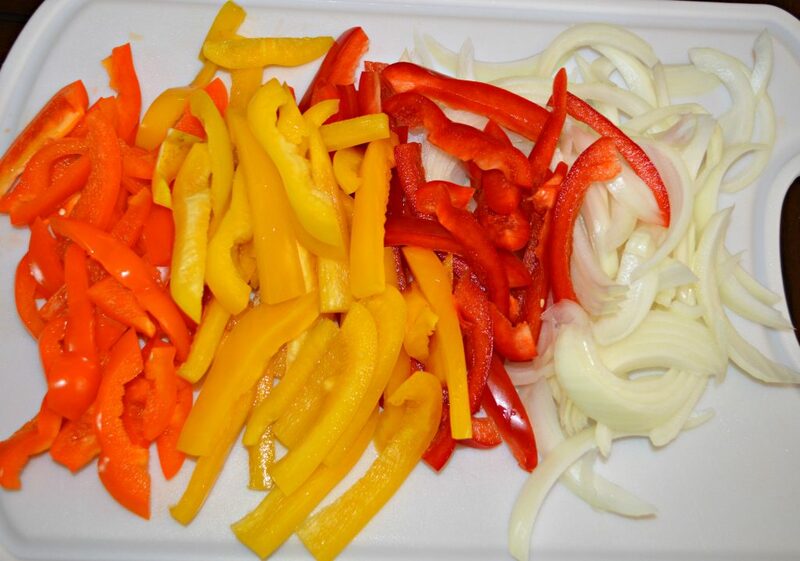 Cut up the onions and peppers into long strips approximately 1/4″ – 1/2″ wide. 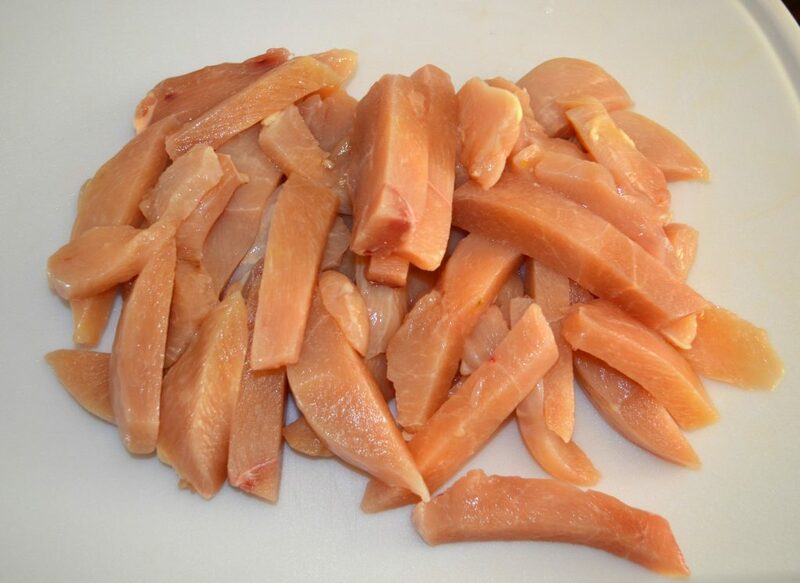 Slice the chicken into thin long strips. 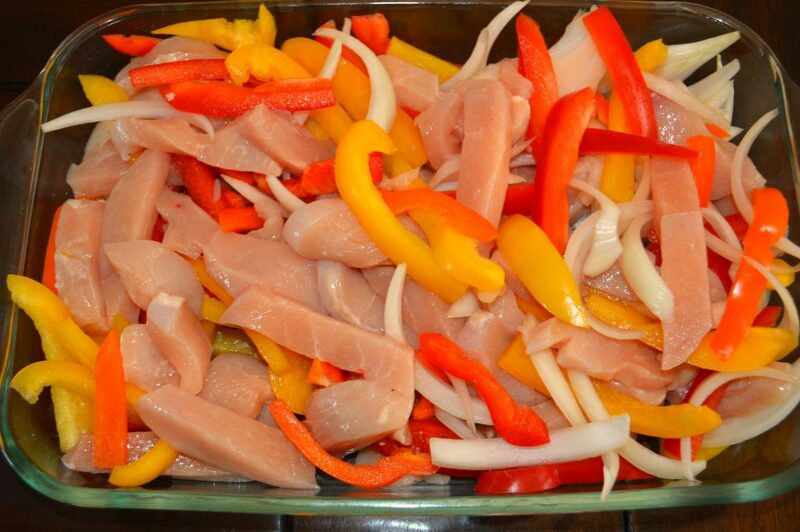 Place all of the vegetables and the chicken into a 9″ x 13″ baking pan. 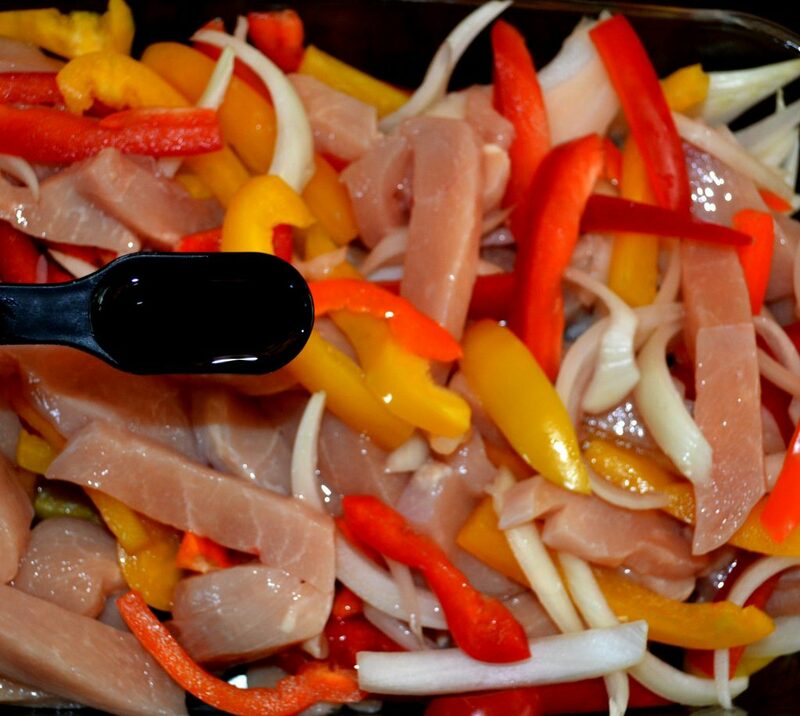 Drizzle the oil over the meat and vegetables; toss to coat everything evenly. Again mix to equally cover. Bake for 40 minutes or until the meat is cooked through and the vegetables are cooked al dente. 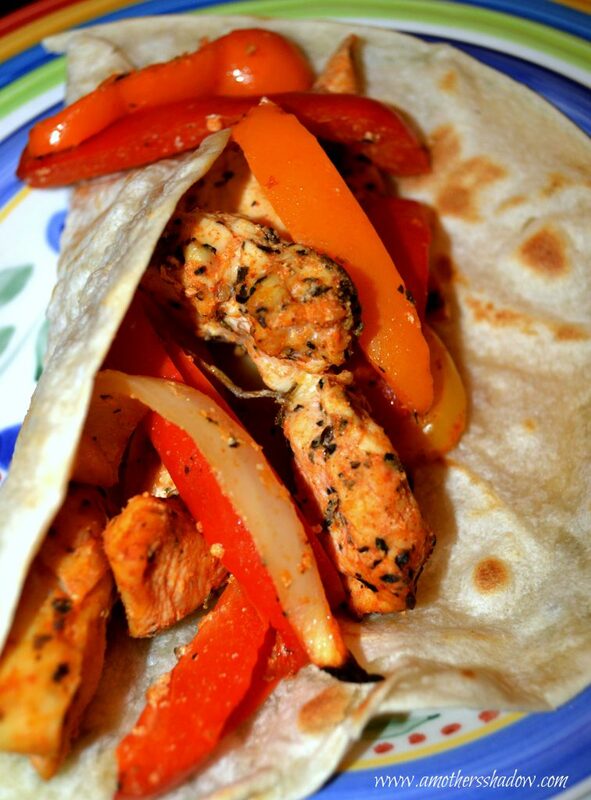 To eat, place a spoonful of the meat and vegetable mixture down the center of a tortilla. 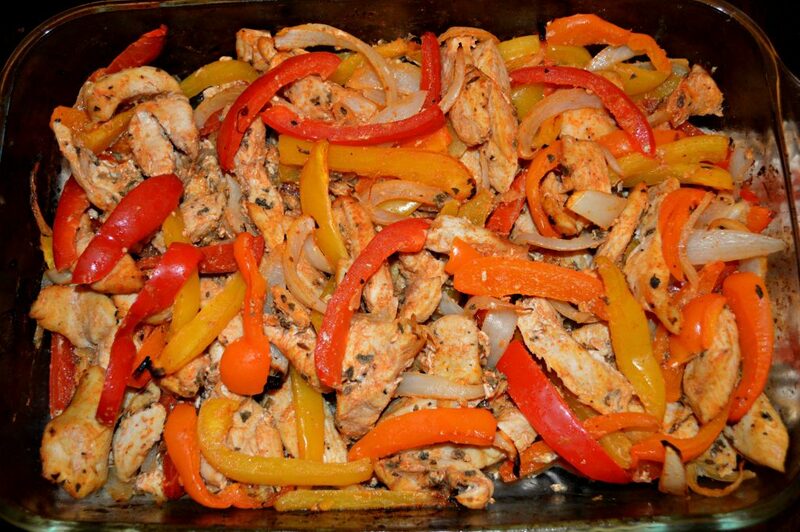 To make these Best Chicken Fajitas to take to a friend or neighbor in need, as I show you how to easily do at: What You Need To Know About Taking In A Meal They Will Want To Eat. Simply follow all the same instructions with the exception of making in a disposable aluminum pan and setting the pan ON a baking sheet/cookie sheet (or jelly roll pan) to bake. The reason for this is because the tin pan is thin, so setting it on the baking sheet prevents food burning on the bottom.